The battleground over the use of red light and speed cameras in Missouri shifted this week from the courtroom to the state Capitol. The Missouri House passed legislation Thursday to bar points from being assessed for tickets generated by traffic enforcement cameras. House Bill 1557 is sponsored by an opponent of the cameras, state Rep. Dave Hinson, R-St. Clair. In addition to not assessing points for camera-generated tickets, Hinson says his bill would restrict the use of speed cameras. "We have it over in the western side of the state, in Sugar Creek...and we have several in the St. Louis County area," Hinson said. "This regulates (speed cameras) down to travel safe zones, construction zones and school zones." Hinson's bill would also cap fines from camera-generated citations at $135. But opponents argued that those provisions amount to a de facto legalization of red light and speed cameras and flies in the face of court rulings in Missouri that have banned their use. 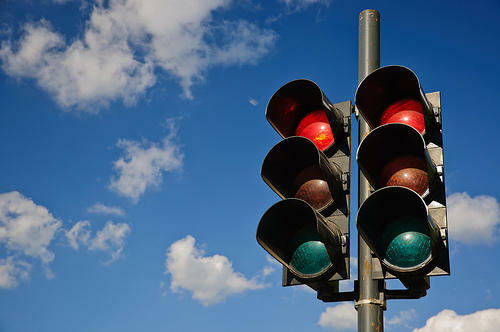 The most recent ruling was last month, when a circuit judge in St. Louis blocked the city from enforcing its traffic enforcement camera ordinance, although the judge later allowed the cameras to be turned back on while the case is being appealed. In January, the Eastern District Court of Appeals struck down the use of speed cameras in Moline Acres, and in December 2013 the same court tossed out the use of red-light cameras in Arnold. However, circuit court rulings in St. Louis County have upheld the use of traffic enforcement cameras in Creve Coeur and Florissant. Several lawmakers accused municipalities of using cameras as revenue generators. "Let's not enable the government to oppress the people further and alienate them more as a helpless source of easy money," said state Rep. Keith Frederick, R-Rolla. "If we are to get a ticket, let it be from a living, breathing, trained, dedicated officer…let it be from an officer that seems like she could be my sister, and she's just trying to raise a family (and) trying to do her job in the best way she can." Frederick added, "Let's take a small step for liberty today by voting this bill down, (and then) come back later and take a grand step for liberty by banning these devices in our state." House Bill 1557 passed, although by a small majority, 84 to 63. It now goes to the Missouri Senate, where a similar bill was approved in committee earlier this month. There are currently three bills in the Missouri House that would actually ban the use of traffic enforcement cameras: HB 1533 and HB 1976 would completely ban their use starting Aug. 28, while HB 1207 would allow local governments currently using them to continue while banning any new use starting Sept. 1. Four other bills, HB 1290, HB 1291, HB 1292, and SB 587, would regulate red-light camera warning signs and the photographs taken by the cameras; it would also designate where and how fines collected from their use can be spent. Missouri drivers would not have points assessed against their license for tickets issued by automated traffic cameras under legislation endorsed by the state House. The House gave initial approval to the bill Wednesday that would regulate red-light and speeding cameras. 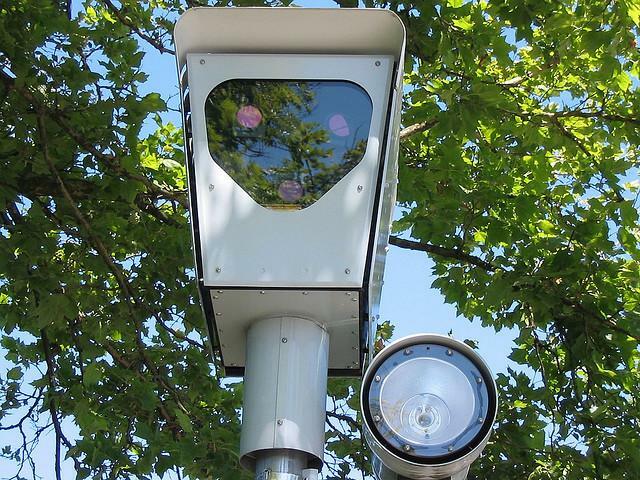 Photo traffic enforcement systems for Missouri municipalities have been the subject of ongoing court cases and many cities have temporary halted enforcement. The measure would require cities to meet certain standards in order to operate speeding or red-light cameras.